Pitse Lodge comprises of five luxury rock-clad suites, thatched with locally harvested grass. 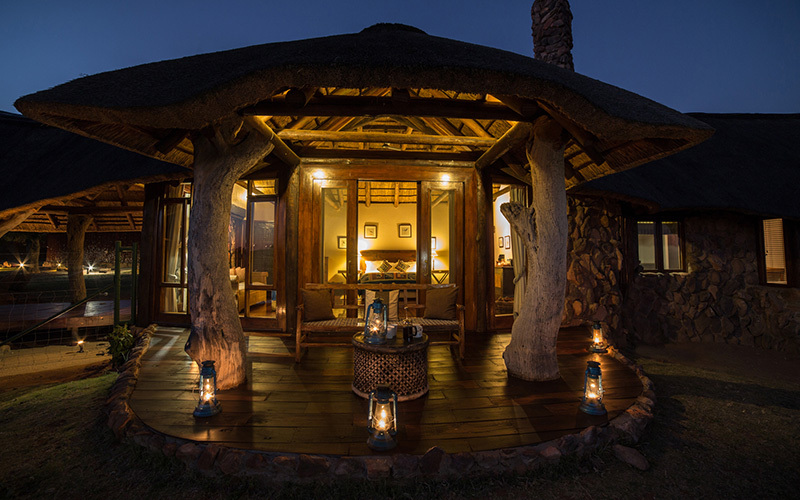 Two of the suites are attached, making them ideal for families with smaller children, whilst the remaining three suites are free-standing. 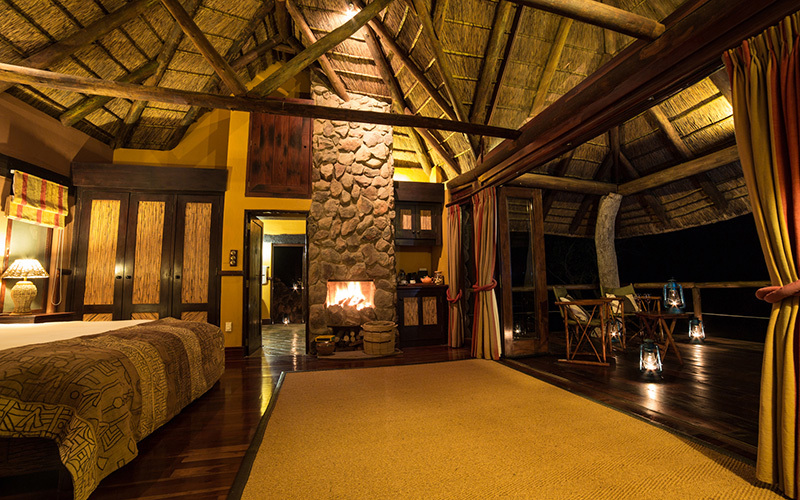 The lodge can comfortably accommodate up to 10 guests. 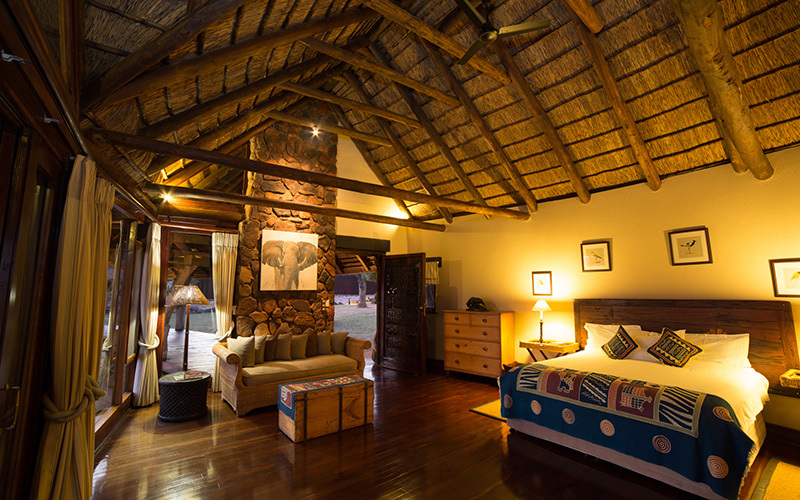 Fish Eagle is discretely connected to the main lodge with a covered Rhodesian teak walkway. 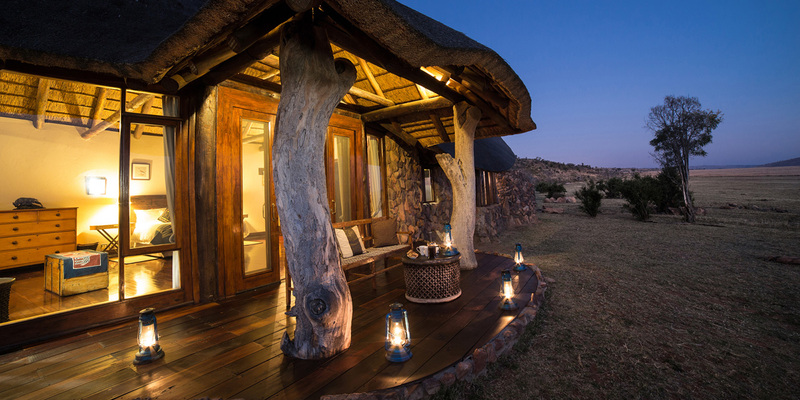 This is the most spacious free-standing suite, with a king sized bed and full bathroom, in addition to an outside private shower allowing an uninterrupted view of the sweeping plains. 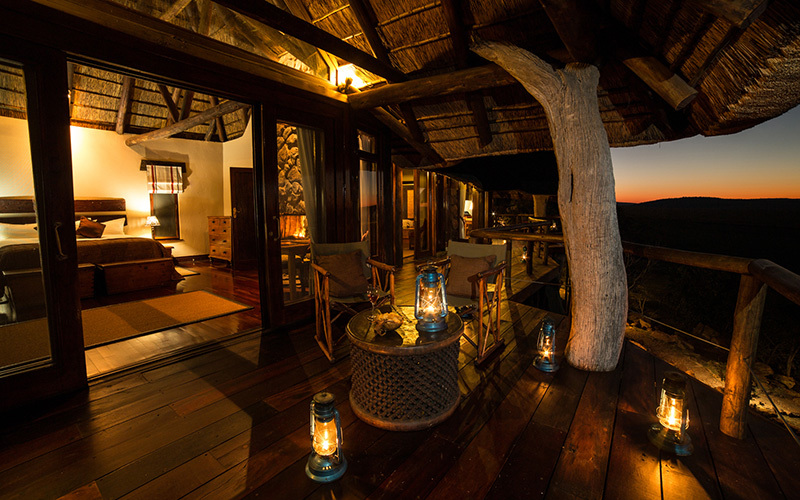 The unfenced front deck of this suite is closely situated to a water feature, often allowing for some spectacular close-up game viewing. 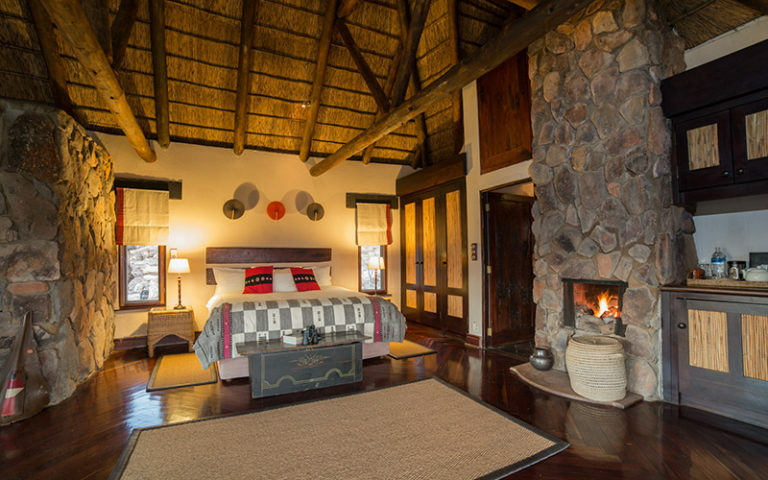 Ideally suited for families with children, this suite comprises two rooms connected with an internal walkway. The rooms are a mirror image of each other, and are built high above the other suites in the lodge, with a beautiful Rhodesian teak wooden deck, hugging the entire front of the suite. 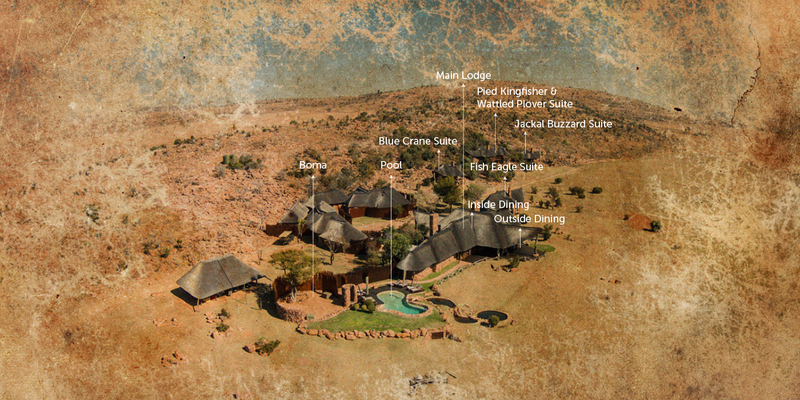 This provides an elevated view of the rolling plains in front of the lodge. 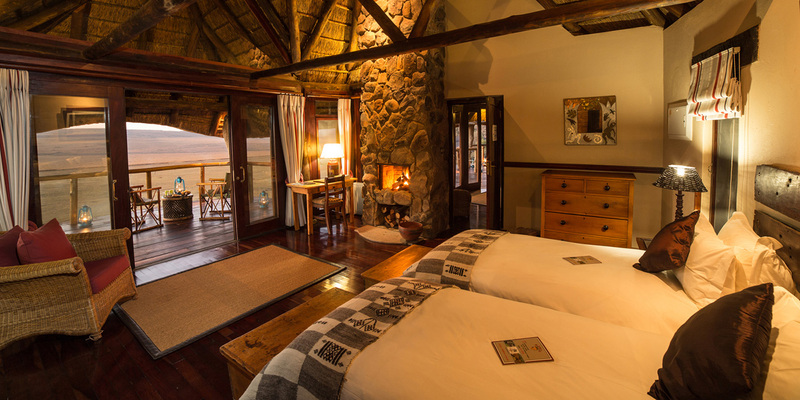 The two rooms making up this suite can be available with double beds or twin / single beds. Baby cots are available upon request. 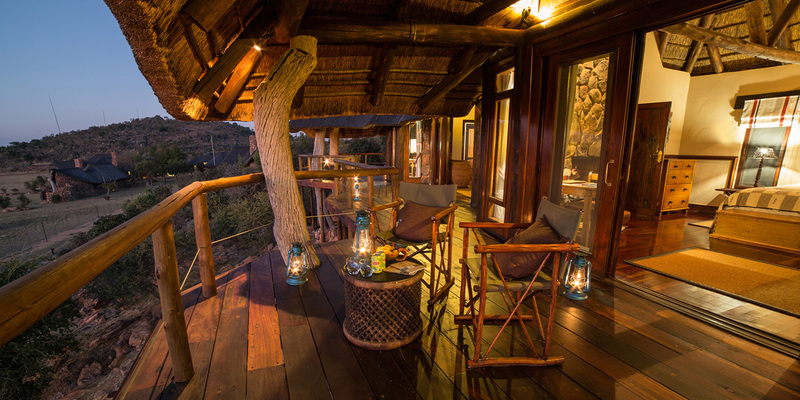 Raised on wooden stilts, this suite presents panoramic views of the open plains in front of the lodge and is conveniently situated within easy walking distance of the main lodge. Tastefully decorated in dark reds and cream colours, the suite comes alive once a fire has been lit. This suite can be made up as a double bed or twin / single bed accommodation. 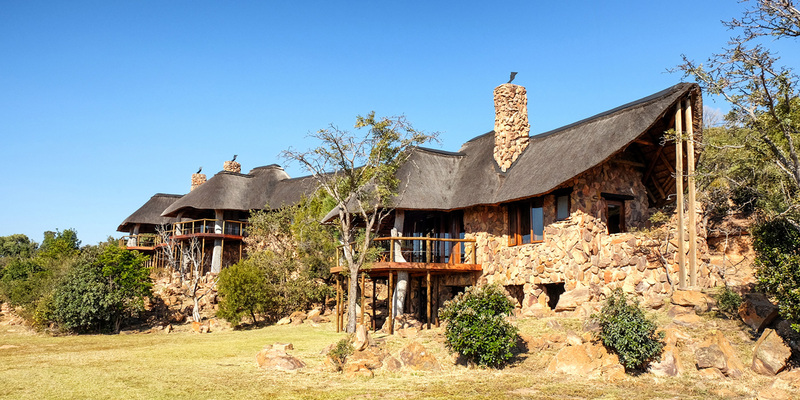 Jackal Buzzard Suite is discreetly located at the end of the lodge perimeter, with views of the gentle rolling hills meeting the Western edge of the open plains. The option of an outdoor shower invites guests to become one with nature. 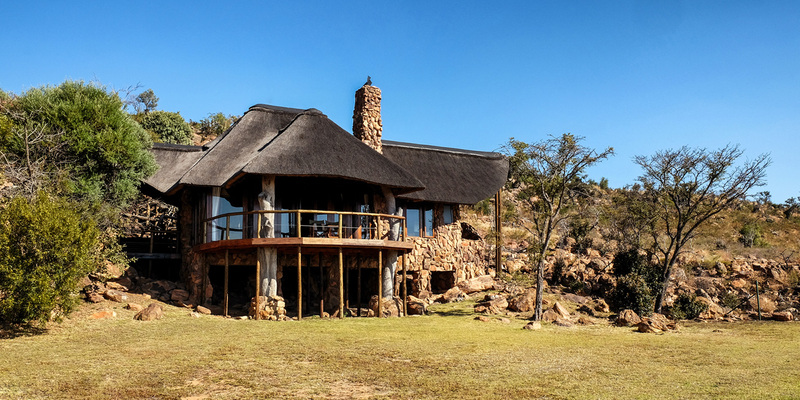 Built up into the rock face, this suite also allows for a raised view of the plains and has an amazing viewing deck to enjoy the beauty of both the sun rise and sun set. 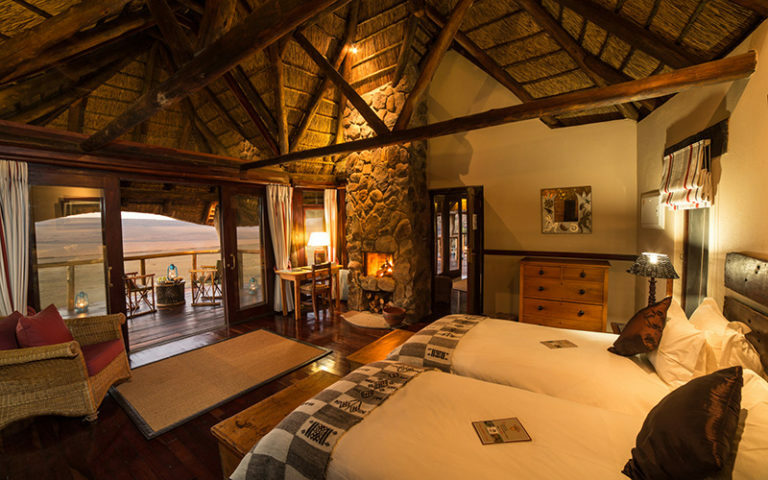 This tastefully appointed suite has a magnificent hard wood base king sized bed. Want to make a reservation? Just fill in the form below and we will get back to you!